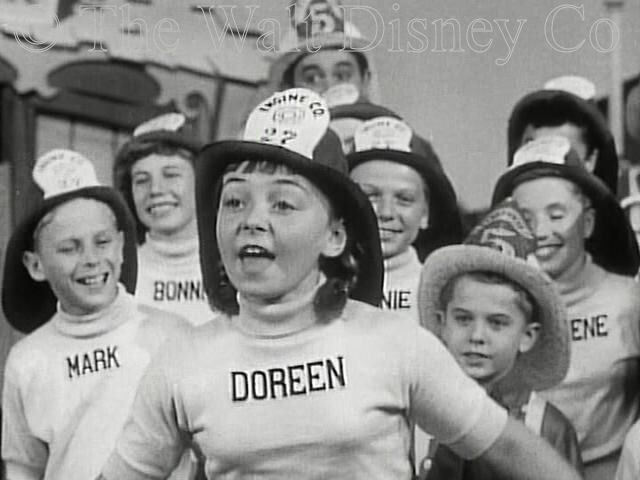 Doreen's merry, mobile face and engaging personality gave animation to many Mouseketeer skits. She was a Red Team member for all three filming seasons, an excellent dancer who was also a good singer and actress. She was best known for her comic turns, though she did some "exotics" in specialty numbers. Doreen Isabelle Tracey was born in London, England, the daughter of American entertainers Elizabeth "Bessie" Hay and Sidney Tracey. Sidney's original name was Murray Katzelnick; he was a Russian Jew whose family immigrated to the United States in 1905, when he was three. Tracey and Hay were a standout dancing team for the Willam Morris agency from the 1920's throught the 1940's, their act often characterised in newspaper ads as Dancing Jewels in a Tiffany Setting. As early as 1927 they made a short film in England called On With The Dance: The Adagio. "They did command performances for the King and Queen of England, performed on Broadway in the Shubert Passing Shows, and were featured on the Pantages circuit. (Yes, the same Pantages who is Tim Considine's grandfather). My father also produced variety shows in England during the Second World War. But they never performed for American Armed Forces. The soldiers who did catch Sid Tracey and Bessie Hay's performances paid top dollar/pounds to see them work. 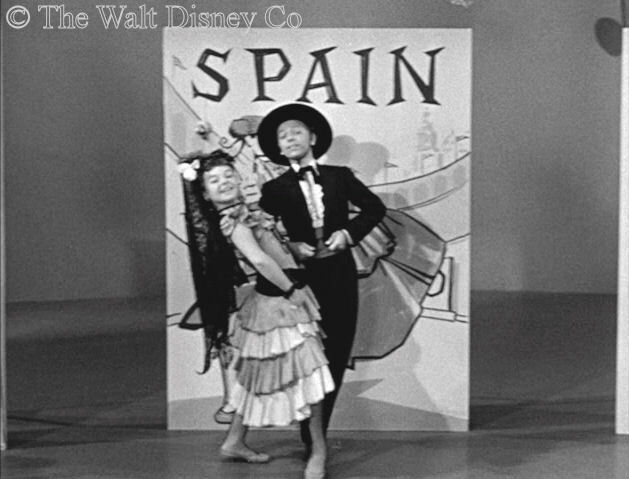 Sid's act was the first adagio act that incorporated modern dance with a story element to the performance. (Think Gene Kelley in An American in Paris)." They brought Doreen, an only child, to Los Angeles after the war. Sidney first tried running a nightclub called "Slappy Maxie's", which was co-owned by his pal, entertainer Ben Blue. He then later opened the Rainbow Dance Studio in Hollywood. 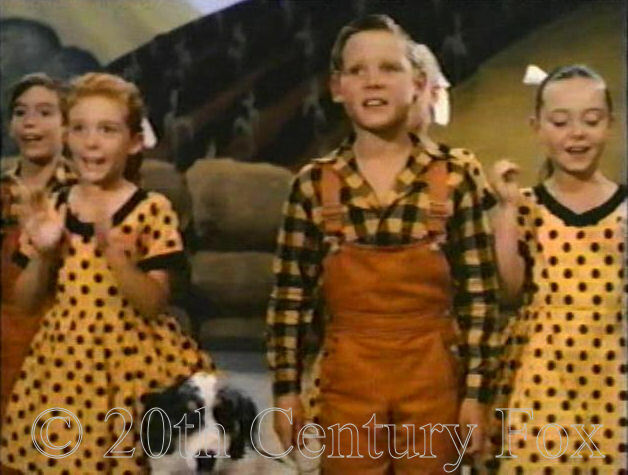 The Farmer Takes A Wife Doreen's first professional work was an uncredited bit in the Betty Grable musical film The Farmer Takes a Wife (1953), which also had future Mouseketeer Nancy Abbate. 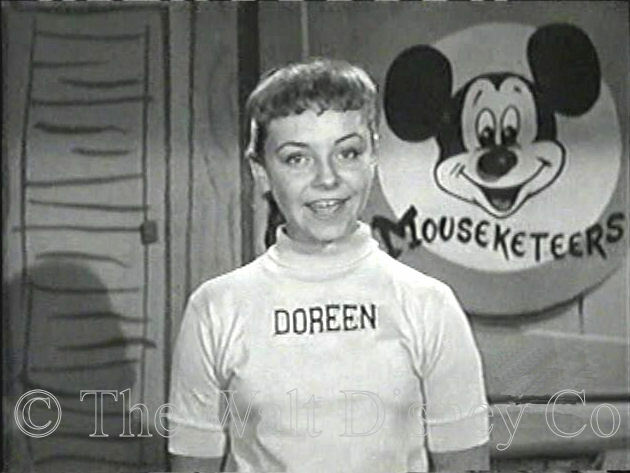 Doreen had a guest spot on the Colgate Comedy Hour, like several other future Mouseketeers, and also did some local children's television. "When Sid finally took over the Rainbow Studio, in the early 1950s there were many featured performers rehearsing or taking dance classes at the Rainbow. Debbie Reynolds was rehearsing diligently with Bobby Van's father, who was an assistant choreographer, for the movie Singing In The Rain. Debbie always looked bone tired when I observed her rehearsing in the "Large Rehearsal Hall" at the Rainbow Studios. My father's ballet master was Michael Panaieff who also taught Stephanie Powells, Natalie Wood, and Jill St John. Leslie Caron also took classes from Panaieff during her contract days at MGM. He was my first ballet teacher, and then when Michael left to open his own studio, I took from Val Froman. 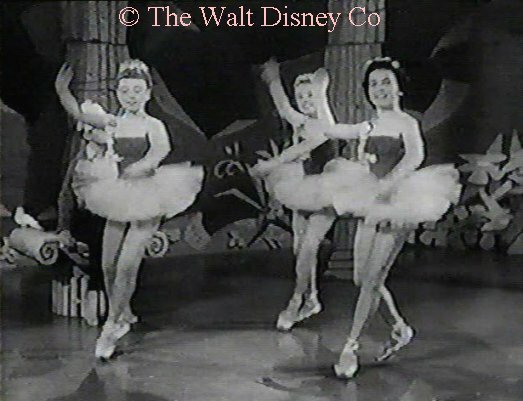 Other children who took dancing lessons from Panaieff and Froman, who went on to become Mouseketeers were Eileen Diamond and Chuck Laney. " 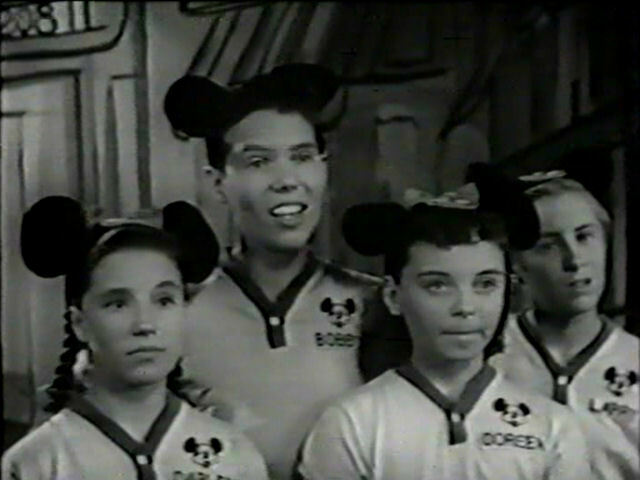 Doreen has said she was answering the phone in the Rainbow Studio one day at lunchtime, when a Disney casting agent called, asking for kids to audition for the Mickey Mouse Club. In her best grown-up voice she told him she knew the perfect little girl for the job. Doreen wanted to keep the audition a secret, but her father nixed that scheme and posted the information publicly in the studio. At her audition, she did a Patti Page song called Cross Over the Bridge in a comic style, and was immediately hired. Doreen was an all-around performer, adept at dancing, singing, and acting. She excelled in displaying comical facial reactions that, though exaggerated, were never overdone. Ballet was her strongest dance style, but she could also do tap and jazz. Her singing was very good, though her voice didn't strike the hearer as particularly distinctive. She could ad-lib effectively, and her strongest selling point was her own appealing personality, which came across best in comic turns. 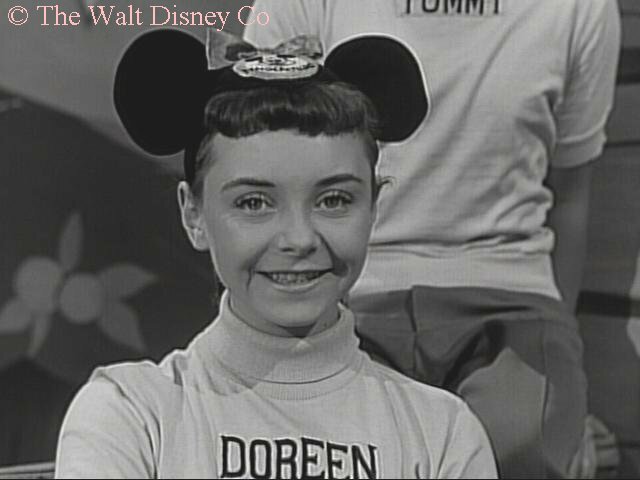 Impulsive and action-oriented, Doreen did an aerial act at the Mickey Mouse Club Circus in Disneyland in November and December of 1955. One time she forgot the instructions not to look down, and immediately froze. The circus crew had to bring her down with a ladder. Doreen was apparently raised as a Catholic by her mother. When her mother was hospitalized with TB, she lived for a time with her "uncle" Ben Blue, who was also Jewish. Doreen could hardly have been unaware of the reputation Walt Disney and his studio had, largely undeserved, for anti-Semitism. 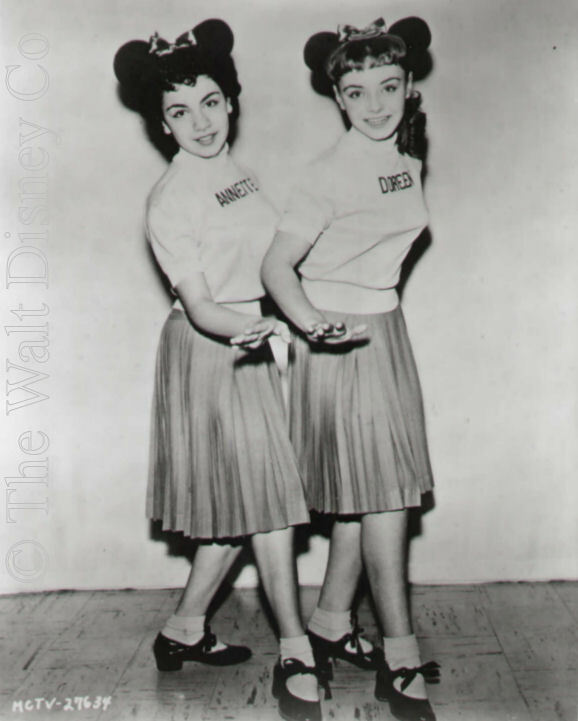 Though there were several Jewish employees (and two other Mouseketeers) at the studio, she must have felt some apprehension, which she may have countered by hanging out with other Catholic girls like Darlene Gillespie and Annette Funicello. She was initially friends with Darlene, whom she regarded as smart and funny. In the winter of 1956 she was hurriedly chosen to replace her ailing friend in the Disney western film Westward Ho, the Wagons!, which also featured Karen Pendleton, Tommy Cole, and Cubby O'Brien. 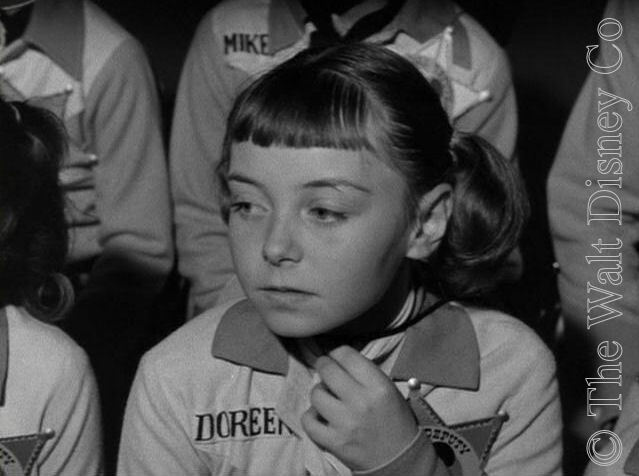 Doreen performed well in the few scenes she and the other kids had. Whether this led to cooling of relations between her and Darlene is unknown, but she began to hang out more with Annette, and later, Cheryl Holdridge, who became her closest friend for years after the show ended. The three girls once snuck some cigarettes from a studio hairdresser and smoked them secretly outside the sound stage. 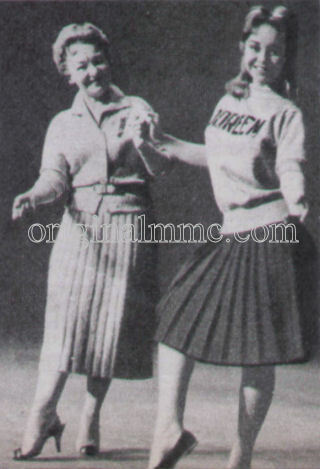 In the third season an old dance routine of Tracey and Hay (done with Ben Blue) about three store window mannequins who come to life, was adapted for a skit called The Music Store, which Doreen performed with Lonnie and Bobby. 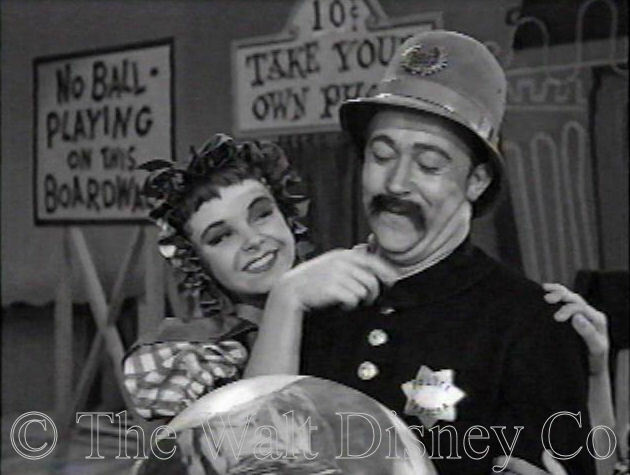 Though she was in constant demand for the Mouseketeer production numbers, she also did voice narrations for a couple of newsreels and an encyclopedia special. 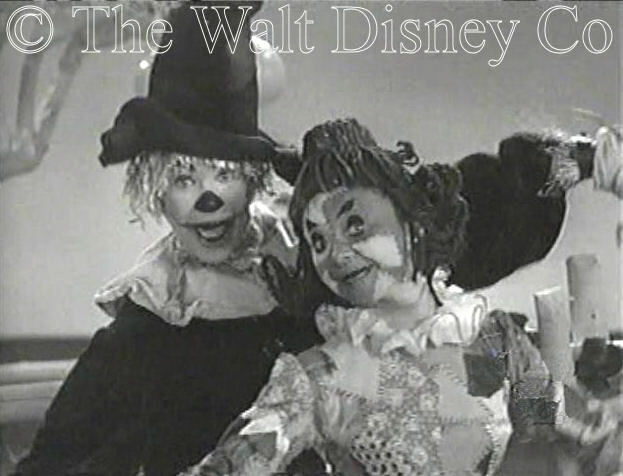 For the Disneyland episode promoting the film Rainbow Road to Oz she danced the part of Scraps, the Patchwork Girl, though her singing voice was dubbed by Gloria Wood. 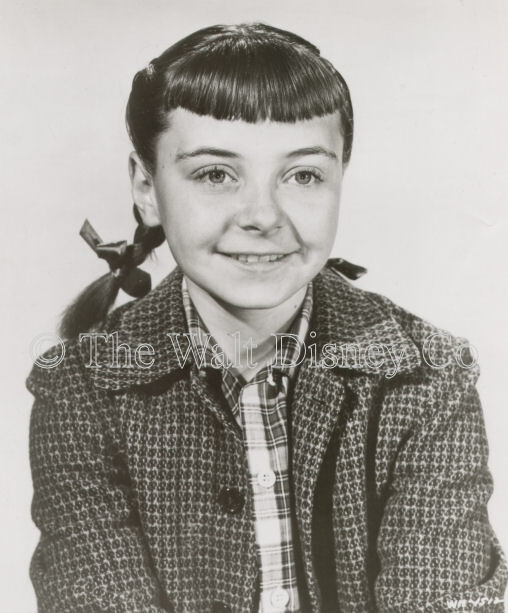 In the serial Annette she played the role of Val Abernathy, sister to Tim Considine's character. 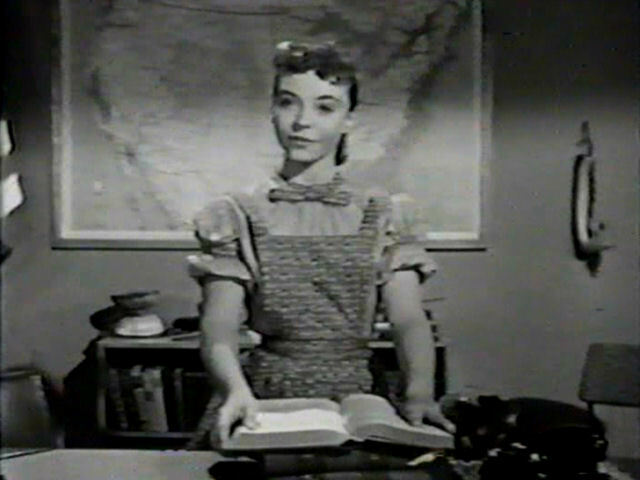 Doreen accompanied Jimmie Dodd, Annette, and Tommy Cole on a long tour of the east coast in January and February 1958, largely to promote the upcoming Annette serial. 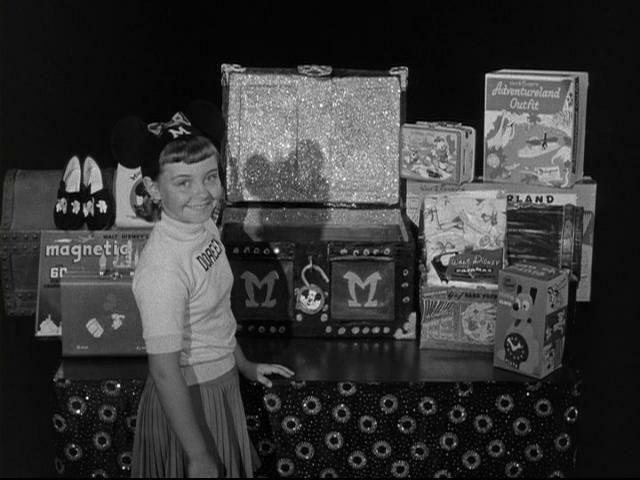 She was one of six Mouseketeers called back to the Disney Studio in April and May of 1958, while Disney and ABC grappled over whether there would be any new production for the Mickey Mouse Club's fourth season. 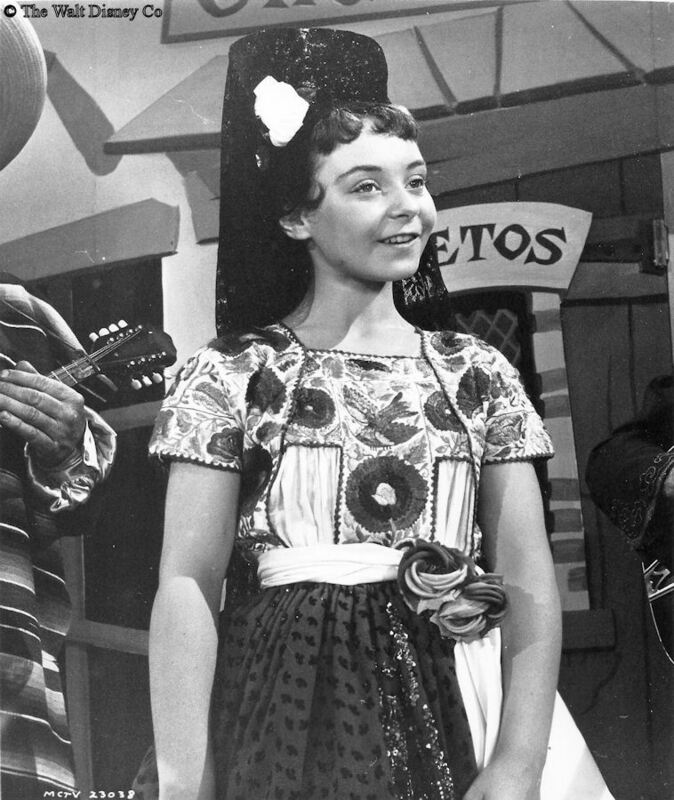 Doreen was only fifteen when the show stopped filming in June 1958. Though a lot of girls admired her, her greatest popularity was with the sort of guys who don't write fan letters. Consequently she was let go by the studio along with most other Mouseketeers. However, the end of her contract did not mean the end of her employment by Disney. 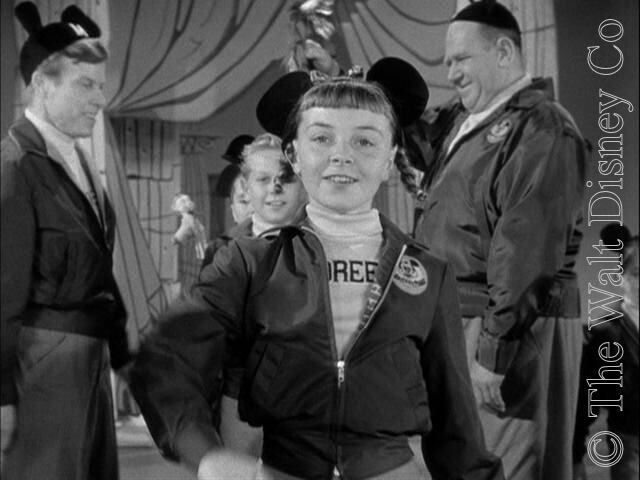 She and several other Mouseketeers were hired from time to time for specific public appearances. 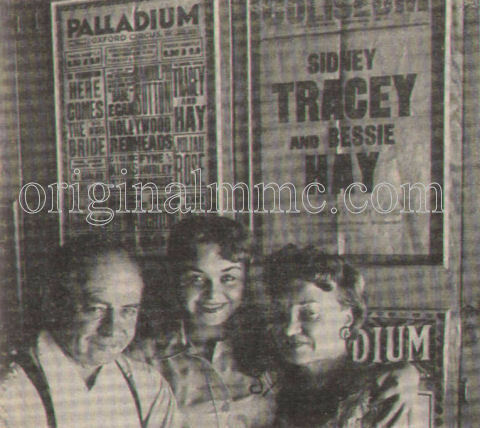 She appeared on an episode of The Donna Reed Show in April 1959, then went to Australia in May 1959, on a tour arranged by Jimmie Dodd, independent of the studio. Without Annette or Darlene to overshadow her, she was wildly popular, and much sought-after by the Australian press. Doreen attended John Burroughs High School in Burbank, then switched to the Hollywood Professional School for a semester, while also teaching beginning dance classes at her father's studio. She dated Roy Steiner, older brother of ex-mouse Ronnie Steiner, for a while, and also dated Lonnie Burr. Sometime in late 1959 she met Robert Washburn. They shared an interest in horseback riding and show business (he performed under the name Robert Allen). In an "exclusive" interview with 'Teen Magazine in 1962, Doreen said the wedding took place May 7, 1961, about a month after she turned eighteen. (In his book, Paul Petersen says Doreen married at age fifteen which seems very unlikely). In early 1962 she had a son, but about that time seperated from her husband, and by August was granted a divorce. Singing was Doreen's career mainstay during the sixties. Though she didn't record, she was in demand for live performances on the teen nightclub circuit, doing both rock'n'roll and ballads. During 1962 she was a member of the 'Teen Magazine variety troupe, performing with Tommy Cole and the Addrisi Brothers, and mainly did solo gigs, including some at Ben Blue's nightclub in Beverly Hills, where she sang, danced, and did celebrity impersonations. She took on a songwriting job with Crown Records in 1963, while working part-time for a trust company and attending classes at Pierce College in-between performing jobs. "I toured for the USO throughout Europe and the Orient from the fall of 1964 and the winter of 1967. Performed as an opening act for the Mills Brothers; Trini Lopez; George Goble; and Neal Sadaka at hotel cabarets, US embassies, Officer's and NCO's clubs. Spent a year entertaining the troops, in Viet Nam from 1968-1969. Note: Was brought in-country by the Lad Theatrical agency, and their agents/entertainers Violinist Pierre DuPont and Magician Johnny Aladdin (Originally Las Vegas Lounge performers). The agency operated under rules and by-laws of USO, and the US Command, which approved the booking of independent acts from Europe, USA and Australia. I arrived with a 16 piece band. Because the show was so large it because a security issue, and was advised to travel with less band members. My backup dwindled down to a compact 5 member band. (The Lad Agency made more money booking a smaller unit traveling outside of the major cities into the Viet Nam delta and the DMZ)." 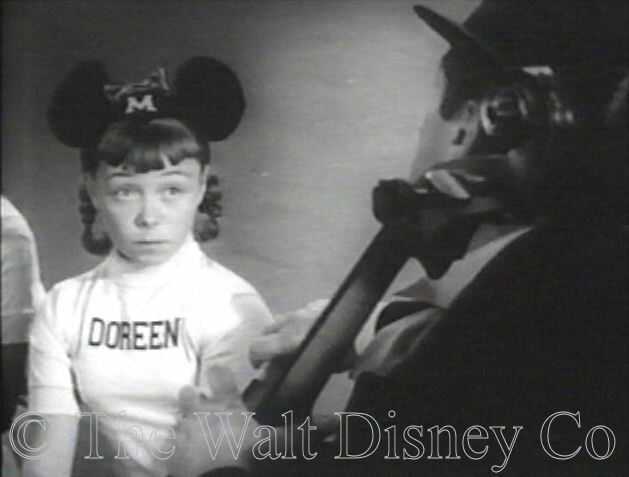 Doreen's subsequent life is reputedly the most interesting (and harrowing) of all the Mouseketeers, but, with an unfortunate exception, is rarely visible in the public record. (The exception was an all too visible layout in the men's magazine Gallery during the late seventies.) Jerry Bowles, in his 1975 interview, captured some of this, but Doreen didn't seem to trust him completely. Paul Petersen, in his 1977 book, briefly described more of her experiences, but didn't provide details. "I'm always listed as a publicist, and although this is an honorable profession, I've never have been a publicist! I worked in the recording industry as a Promotion Director. I got my training at Warner Brothers Records from 1972-1974, working for the Vice-President of Promotion, Bobby Greenberg. I was one of the few women during the 1970s taking on promotional responsibilities. I pride myself for being part of the Warner Brothers team working on "breaking" Tower of Power, the Doobie Brothers, and Frank Sinatra's "Old Blue Eye's Is Back" to name just a few of the artists. The best achievement was getting Frank Zappa his first single hit: Don't You Go Where The Huskies Go, Don't You Eat That Yellow Snow! That was a challenge because Top Forty stations considered Frank an underground artist, not mainstream." 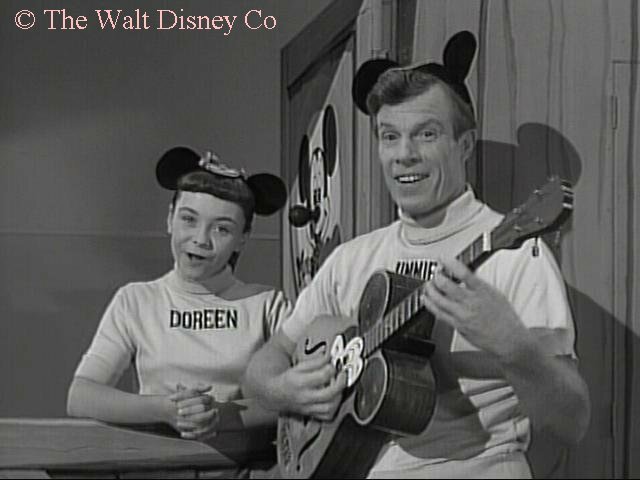 For a long time after the show Doreen had nothing to do with Disney or Mouseketeer reunions, except for the 25th Anniversary Show in 1980. That changed in the nineties, when she began making herself available for personal appearances, highlighted by her joint interview with other Mouseketeers on the Disney Treasures DVD in 2004. 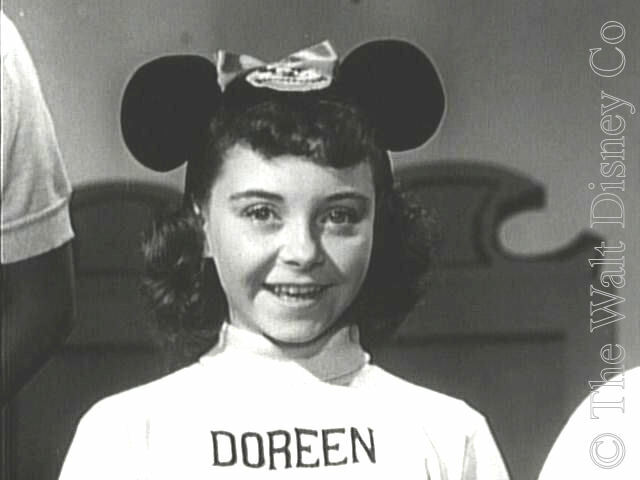 Doreen wrote an autobiography during the nineties, which she calls Confessions of a Mouseketeer. A small excerpt of this appeared in the NPR anthology I Thought My Father Was God (2001), and Doreen herself recorded it for broadcasting on NPR. 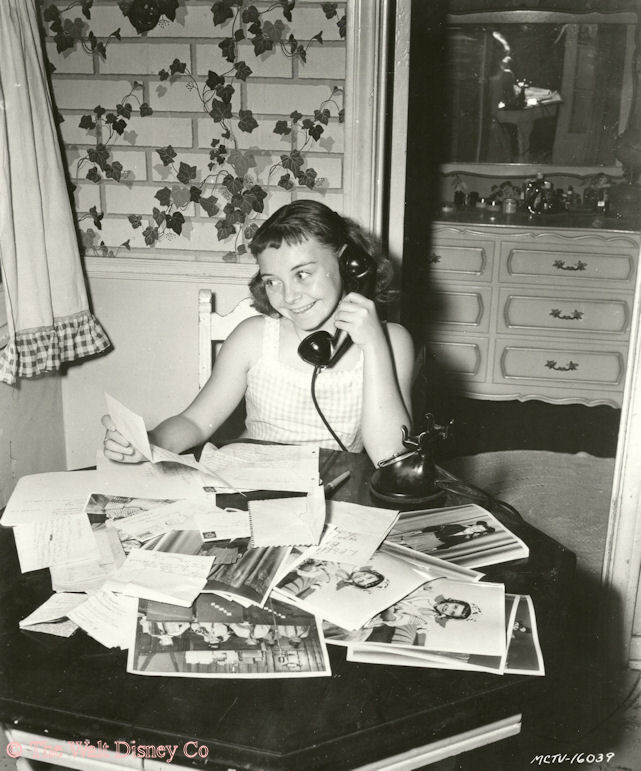 When Mouseketeer Cheryl Holdridge passed away in 2009, Doreen served as co-executor to an estate that ran into the millions. She discharged her duties faithfully to her old friend and colleague. 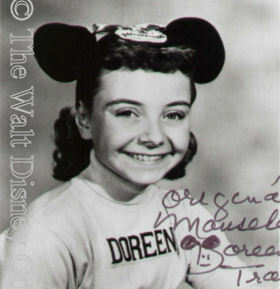 Doreen received her Mousecar award along with many other Mouseketeers at the 60th Anniversary celebrations in Anaheim, California during August 2015. After a few years battling with cancer, Doreen passed away from complications of pneumonia on January 10, 2018.